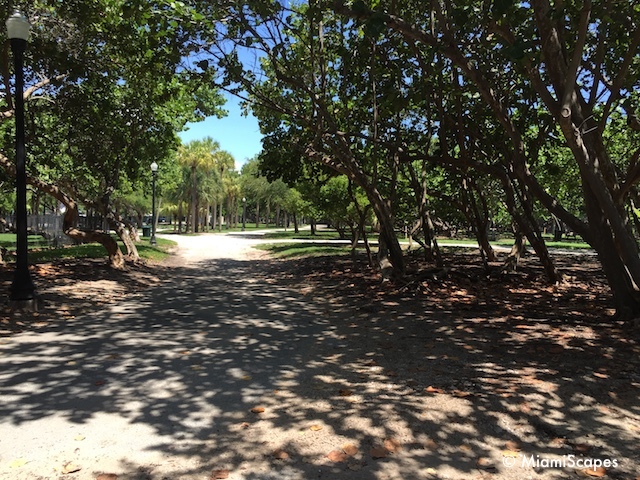 North Shore Open Space Park aka North Beach Oceanside Park is as far north as you can get and still be within Miami Beach. 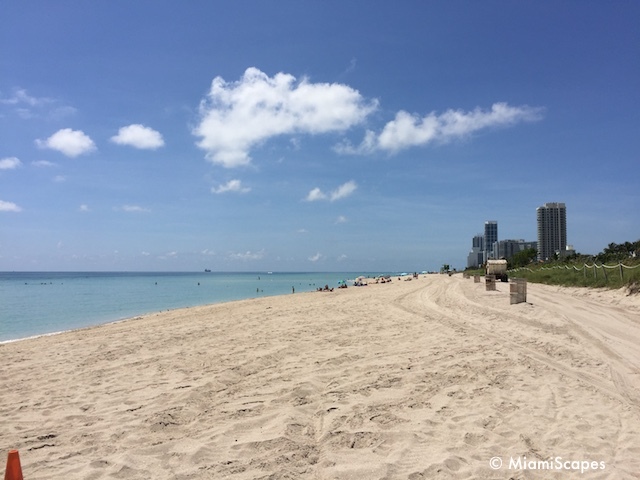 What sets this beach apart is the lack of high-rise developments all along the waterfront, as the beach is bordered by a green park, a real "open space", and literally a breath of fresh air where you can enjoy one of the city's most beautiful and less congested beaches. 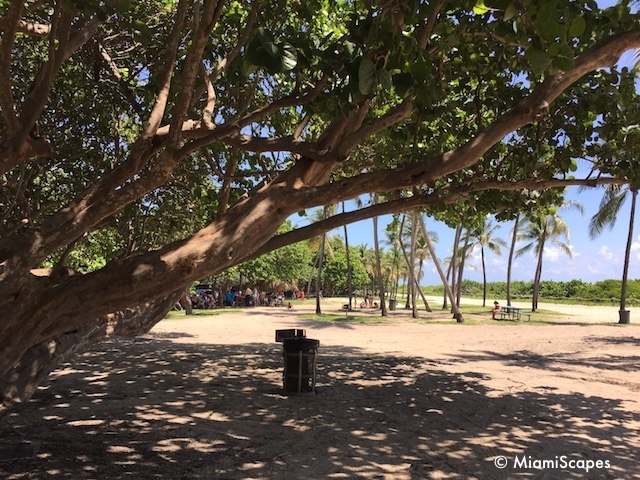 This is the largest park in Miami Beach and as far as beaches go, a very mellow one and mostly frequented by locals. 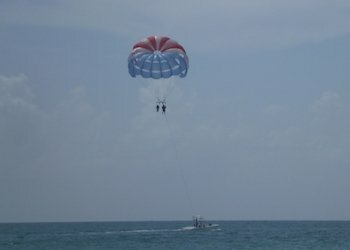 There isn't much in terms of ammenities aside from a few volleyball nets on the beach, there are no watersport, chair or umbrella rentals, so definitely a less touristy and commercialized atmosphere. 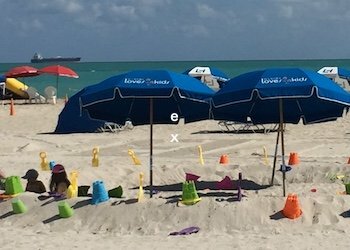 If you are looking for the hip vibe a la South Beach, this is certainly not the place. 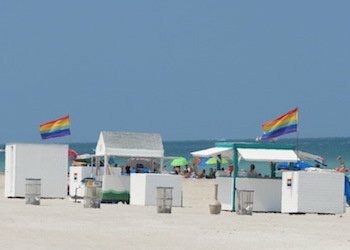 There are lifeguards on duty and picnic tables, it is more of a family atmosphere where locals come to spend the weekend. 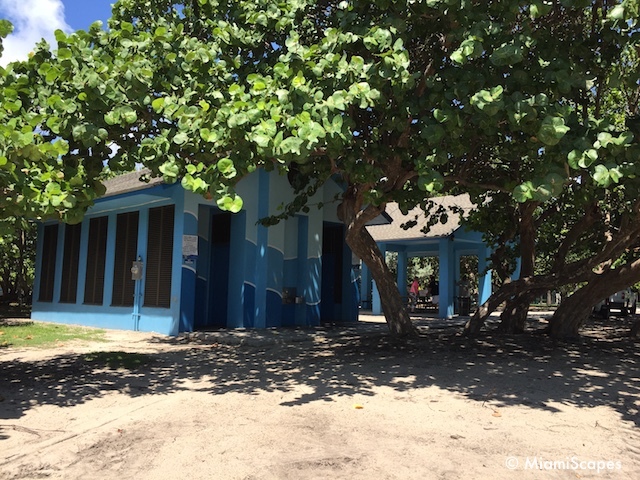 Other facilities include showers and restrooms which are kept in decent shape. Note that the park is undergoing massive renovations which will revamp all the facilities. The Dog Park Area within the Park has two enclosures for small and larger dogs (35 lbs) where dogs can play and run off leash, there are pooper scooper stations, water fountains, benches, and plenty of trails to run around. 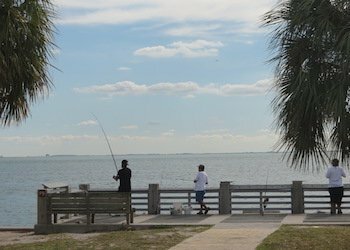 Access is through Collins and 81st Street and is open daily. 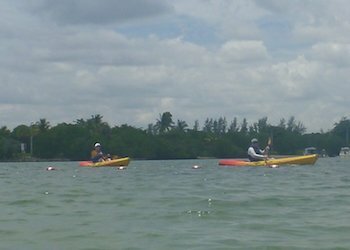 The Bark Beach area is located between 80th and 81st Street and is open only on Fridays, Saturdays and Sundays from 1:30 pm to 5:30 pm. 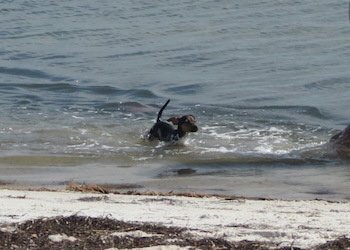 and here dogs can romp around off leash in the designated section of the beach! There is a limit of 2 dogs per owner. Both spaces are FREE for everyone to enjoy, residents and visitors and their dogs. 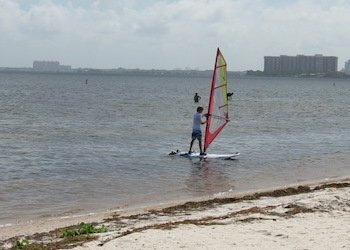 There is also some walking and biking trails that are great for enjoying this beautiful natural retreat. 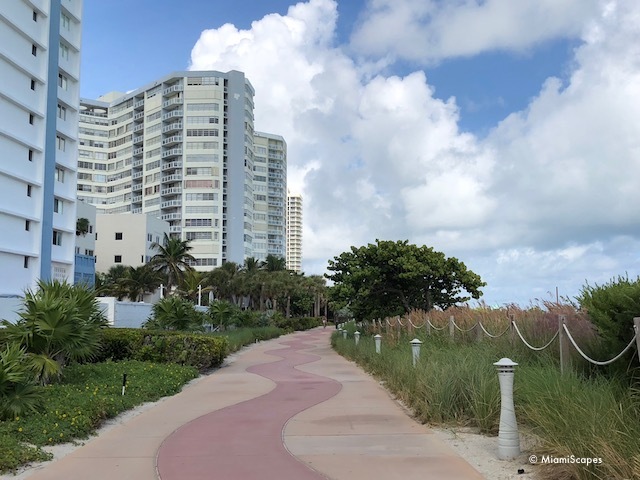 The trails also connect the park to the Miami BeachWalk, the 10-mile system of paved paths, sandy stretches, park promenades and elevated boardwalks that runs along the coastline. 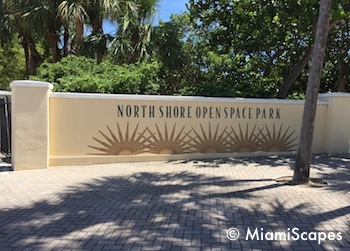 In fact, North Shore Park is one of the easiest jumping off points for a bike outing: there is easy parking just across the street and a bike rental station right off the parking lot. 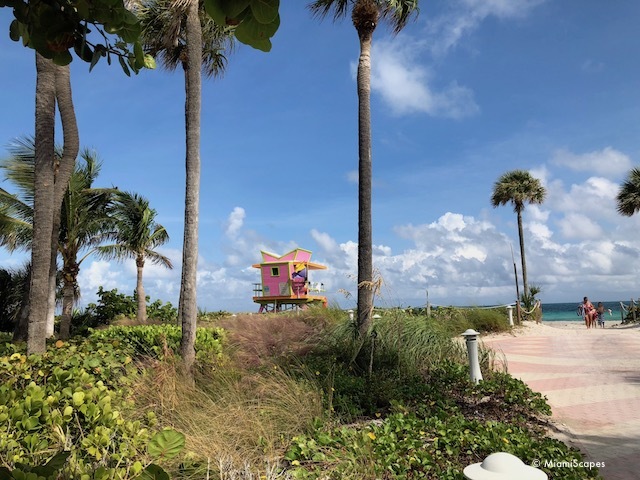 You can bike through the park and then on either direction north or south on the Miami Beach Walk, to the north the Beach Walk will lead you to Surfside and Bal Harbour Beaches. 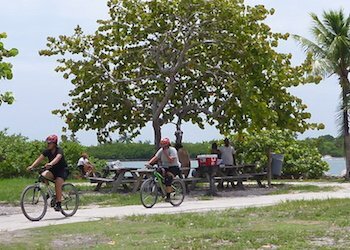 To the south you reach North Miami Beach and you can bike for now up to 64th Street as the segment between 46th Street and 64th Street is under construction. But this is as good a time to go for a stroll and some refreshments. Remember you can return your bike at any of the stations along the way, every couple of blocks or so there will be one. 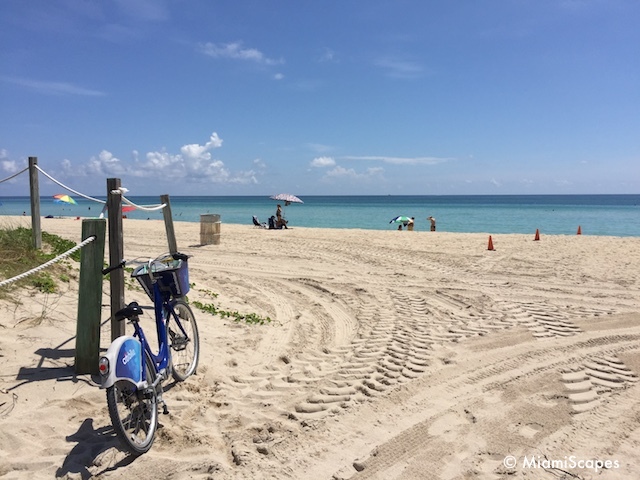 And there is also the option of taking the FREE trolleys, you can continue on to Miami Beach or South Beach and pick up another bike or return to the North Shore parking lot. Make your outing as short or long as you wish. 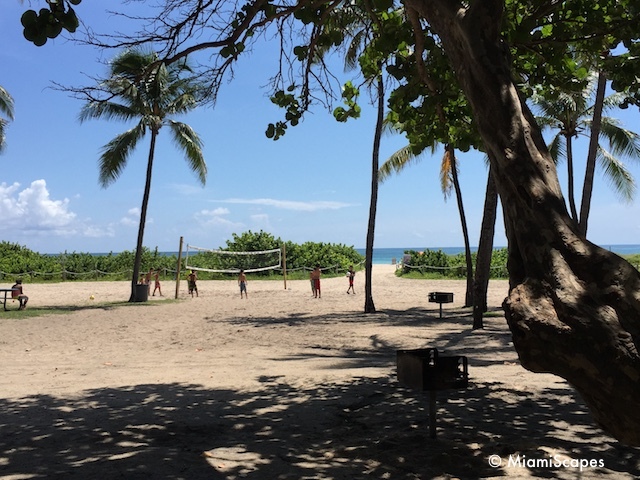 As all other Miami Beaches, the park is open from sunrise to sunset. I would avoid this park after dark. 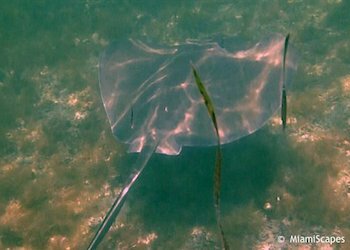 As with any place that is deserted after sundown, it is better to be cautious.